One important purpose of a prenuptial agreement is to make available to the splitting couple arrangements on alimony in case their marriage turns sour. Without need for parties to battle each other at such a sensitive time, these provisions on support need only to be enforced at the breakdown of their marriage. 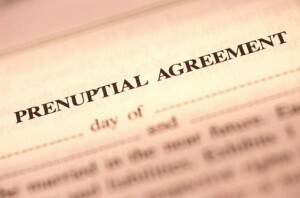 A well-drafted prenuptial agreement must be able to provide feasible and financially responsive support provisions not just to the receiving party, but to the paying party as well. Should no party question the terms of the support as specified in the prenup, all that is needed is the enforcement of the agreement. In cases where the financially-able party does not offer alimony, or there is no prenuptial agreement to be enforced, the aggrieved party is left with two options. The party may hire the services of a Thailand lawyer who shall negotiate an out-of-court settlement with the other spouse, or come to court for a judicial determination of the terms of support. The law favors support to a party who is expected to experience hardships because of the breakdown of the marriage. Let us take the case of a woman with a promising career who leaves her job for family life. All goes well until her husband leaves her for another and becomes violent with her. With clear grounds for divorce, the wife can go to court and ask not only for the grant for divorce but for alimony as well. In such cases, the alimony is not just a humanitarian consideration for the wife and the sacrifices she made, but likewise as compensation for the difficulties she experienced in the hands of her spouse during their marriage.